A good choice metal plate cutting by flame and plasma. Machine size is due to customer’s request on X and Y direction. Strong gantry and linear rail ensures durability, stability and quick speed. CNC controller gives screen of 15”, Windows XP, English, Russian, Spanish, Portuguese, French and others. 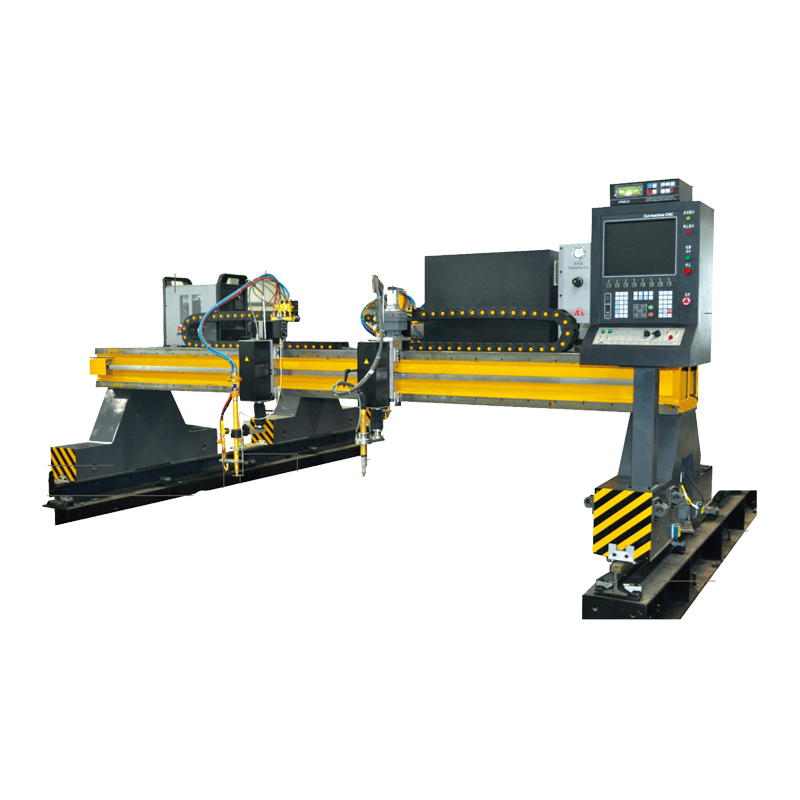 CNC Controller gives easy operation interface, shape library and cutting parameters programs. Efficiency improvement and cutting quality functions, including Mirror, rotation, scale, repeat, skew functions, etc USB terminal to support program and data input and output. CNC controller supports mouse and keyboard for easy operation. Can use FastCAM,Hypertherm and other brands nesting software. ARC voltage THC to drive plasma torch action automatically. Capacitor THC to drive flame torch action automatically. Auto ignition device and flash arrestor on flame torch. Application: for shipyard, oil industry, part production, heavy machinery, accurate cutting service supplier, etc.